A shared love of the great outdoors has brought us to this beautiful part of Cumbria, where we enjoy the slower pace than our previous hectic life in Surrey. We've both been keen athletes and walkers for many years and now walk, climb, cycle, or kayak whenever the opportunity arises. We know many of the best (and less used) paths and the best views, and we can help you make the most of your time in the Northern Lake District. We can also arrange bike and kayak hire should you need it, and provide maps and guide books for the local Keswick area and beyond. We've travelled a lot, stayed in some great (and some not so great) places so we like to think that we've learnt what people are looking for from a short break away. 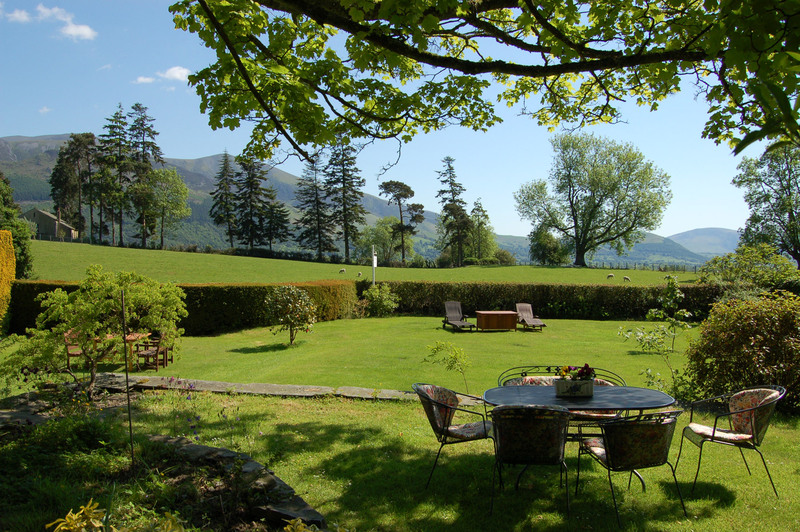 We look forward to welcoming you to Thornthwaite Grange. Immediately after receiving your confirmed booking, we'll post or e-mail you an acknowledgement of your booking, confirming dates / rates / conditions / cancellation policy etc..
We're usually around to take calls at any time between 9.00am and 9.00pm. If we are unable to answer, please leave a message & we'll call you back as soon as possible. The M6 motorway (junction 40) is about 25 minutes drive from Thornthwaite village. Leave the M6 at junction 40, taking the A66 exit to Penrith/ Workington/ Brough, and at the roundabout, take the 1st exit onto A66 heading to Workington/ Keswick/ Ullswater/ A592. Follow the road for approximately 18 miles, passing 3 left turnings to Keswick. Shortly after the 3rd left turning to Keswick, pass another left turning to Grange & Portinscale and yet another left turning to Braithwaite. After the turning to Braithwaite, take the 2nd turning left, signposted Thornthwaite and Gallery. The road immediately bears right (parallel to the A66). Stay on this road. Thornthwaite Grange is one mile down on the left (200 yards past a phone box and bus shelter which you will spot on your right). Shortly after the dual carriageway which runs alongside Bassenthwaite Lake, turn right [signposted THORNTHWAITE and GALLERY]. Thornthwaite Grange is one mile along this road on your right hand side. National Express operates daily coach services to Keswick and other parts of the Lake District. For more information on the service (London to Birmingham, Blackpool and The Lakes), click the link below. The Lakes & East Cumbria region has fast links to London and the rest of the UK. The west coast mainline trains stop at Penrith station (about 20 miles from Thornthwaite), travelling on to Carlisle and Glasgow to the north and London Euston and the Midlands to the south. Local buses run from Penrith to Keswick and from Keswick to Thornthwaite, dropping off at the bus stop about 100 yards from our door. Manchester, Liverpool, Glasgow and Newcastle Airports are all well connected to the M6 motorway, and have good links to public rail and coach services. For more information on airlines operating from each airport and onward travel to the Lake District, click the links below.